It is of note that older dermatologists (those working before lasers, nerve inhibitors, and fillers) often tell about blemishes being essentially ejected from the skin after the prolonged use of strong hydroxy acids. 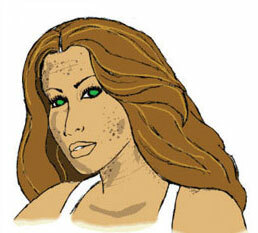 This includes many types of skin blemishes, scars, flat warts and skin tags. Dermatologists often recommend deep chemical peels for scars, but if the dermatologist or esthetician is not highly skilled, this is often unsatisfactory and can produce further scarring. 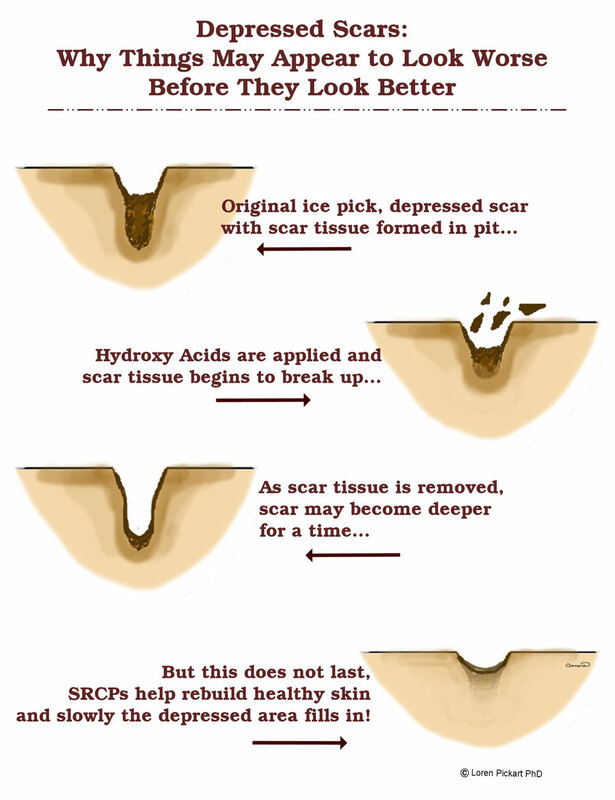 We get many telephone calls from people who have had deep chemical peels for scars and ended up with worse scarring than their initial scars or laser treatments that left permanent skin damage. 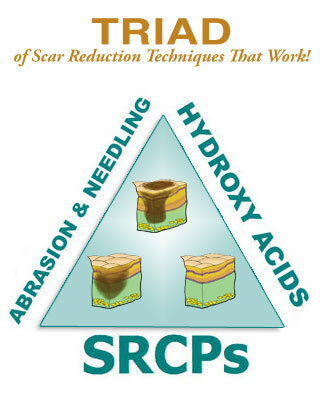 However, using a mixture of methods (microdermabrasion cloths, needling, salicylic and/or lactic acid) helps loosen and remoive the scar tissue. Finishing with a copper peptide product supplies the skin with nutritional copper it requires for skin maintenance often works very well. Numerous studies from the US Department of Agriculture Nutrition Laboratories have indicated that dietary copper intake in the USA is too low for optimal health. This is a very simple, safe, and painless method that often works surprisingly well, and is much less expensive than laser treatments, chemical peels or silicone sheets and less irritating than retinoic acid alone. To use this method to reduce skin lesions, after uisng the scar removing methods, rub a copper peptide serum or cream into the scar area in the morning, then in the evening use microdermabrasion cloths, needling, salicylic and/or lactic acid. 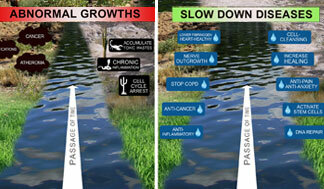 Going slow works best. After a week, you may notice a slight flaking of skin around the periphery of the lesion. This is usually followed by a shrinking and thinning of the skin lesion which is significant after one month. 1. In the morning, apply a copper peptide cream or serum to the skin blemish. Creams work best on dry skin while serums work best on oily skin. 2. You can apply more hydroxy acids during the day if you do not experience any irritation. But reduce the amount if your skin become irritated. 3. In the evening, use acids and/or physical methods (dermabrasion cloths, needling) on the blemish. You may have to experiment to see what combination works best for yourself. 4. The key is to keep working on the skin blemish. Moles can be slowly reduced and often removed with mild hydroxy acids and copper peptides However, faster results are obtained with stronger products. Some skin clinics apply 70% glycolic acid to moles with a cotton tipped swab for 6 minutes. This must be done by a skin care expert. The acid is then washed off. 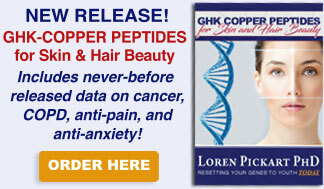 A copper peptide product such as a cream or serum is generally applied immediately and for a week afterward at bedtime. Many moles drop off in 2 to 3 days. borders should be promptly checked by a physician. Stronger beta hydroxy acids will speed the procedure but also increase the chances of irritation or chemical burns. Some individuals and clinics use stronger salicylic acids or 30% to 70% hydroxy acids to loosen the scar tissue then apply the copper peptide product.